FLIR Systems, Inc. has announced that James J. (“Jim”) Cannon has been appointed President and Chief Executive Officer, effective June 19, 2017. Mr. Cannon will succeed Andy Teich, whose retirement after 33 years of service was previously announced on February 14, 2017. Mr. Cannon’s extensive and varied leadership experience makes him ideally suited to lead FLIR and its portfolio of innovative technology-based products and applications. 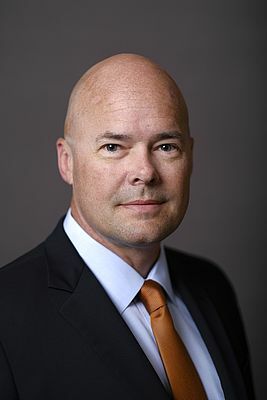 He previously served for more than 16 years in a variety of senior leadership positions at Stanley Black & Decker, Inc., most recently as President of Stanley Security North America & Emerging Markets. Prior to that, Mr. Cannon was President of the company’s Industrial & Automotive Repair (IAR) business unit, first in North America and subsequently in Europe and Latin America, before then serving as President of Stanley Oil & Gas. In addition to his global, cross-functional leadership experience at Stanley Black & Decker, Mr. Cannon served in the U.S. Army for 10 years as an infantryman and armor officer in a wide variety of assignments around the world, including Operations Desert Shield and Desert Storm in Iraq, where he learned to truly appreciate FLIR’s technology and was awarded a Combat Infantryman’s Badge.